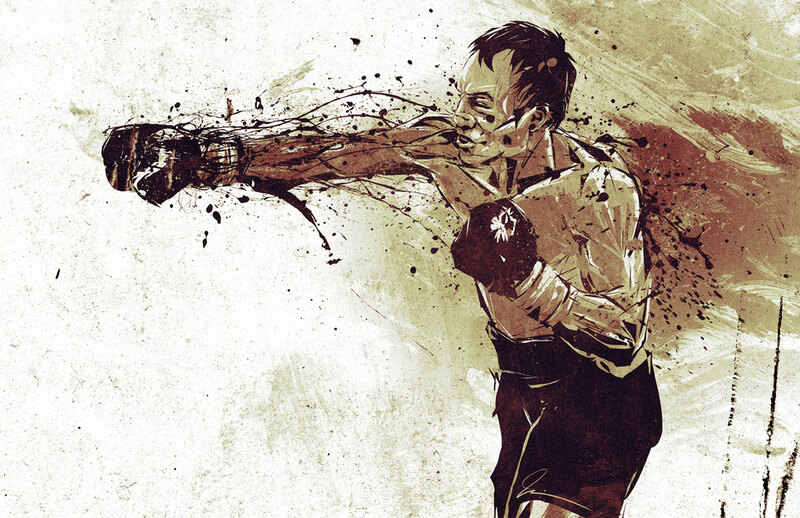 This piece was done for a motion graphics job called “The Fighters”. I always try and work illustration into my motion graphics work in the hopes that the client will go for it… so far none ever have. But I was happy with the illustration. Drawn in illustrator then brought into photoshop for texturing.